ALPHARETTA, Ga. (BP)—Geoff Hammond and three of his closest associates resigned their positions with the North American Mission Board Aug. 11 after trustees met more than seven hours in executive session at the board’s Alpharetta, Ga., headquarters. The three staff members who also resigned were Dennis Culbreth, senior assistant to the president; Steve Reid, senior associate to the president for strategy development; and Brandon Pickett, communications team leader. Their resignations came after 54 of the board’s 57 trustees met in an all-day closed session. Four of the 54 trustees participated by conference call. Until the announcement of the resignations, there was no word from trustees throughout the day about either the substance of their discussions or their progress toward a resolution. “First I want to thank the trustees of the North American Mission Board who have come together today and worked through some very difficult issues. They have carried out their responsibilities today in a way that has been honorable, thorough and fair. “Dr. Hammond has resigned as president of the North American Mission Board and his resignation takes effect immediately. In addition, three of Dr. Hammond’s closest associates —Steve Reid, Dennis Culbreth and Brandon Pickett—will resign their positions as well. “Even though the subject of today’s meeting has been the topic of much media speculation, it is important to remember that this is a personnel matter and we will keep the details of today’s discussion confidential. “As you can imagine, these last few days have been very challenging for Dr. Hammond and his family, our trustees and the employees and missionaries of the North American Mission Board. We will continue to be in prayer for Dr. Hammond, his family, and for the families of the others who have resigned. 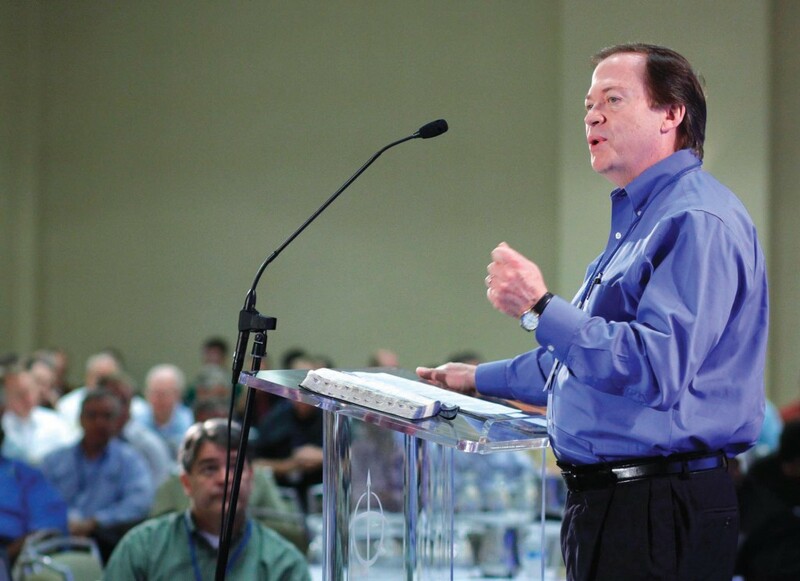 “I want to thank Southern Baptists for their prayers and ask that they continue praying. We have much work left to do as we seek God’s guidance in these days. I still believe that God has great plans for the North American Mission Board and that NAMB will play a key part in the Southern Baptist effort to reach North America for Christ. The meeting initially was to involve only members of NAMB’s executive committee —a smaller group within the board of trustees—but members of the whole board learned about the meeting’s agenda and succeeded in calling for a meeting of the full board. The son and grandson of missionaries, Hammond also served as a NAMB church planting missionary with the Southern Baptist Conservatives of Virginia (SBCV) convention, and as senior associate director of the SBCV. All three of the associates who resigned had close working relationships with Hammond before he became NAMB president. Reid and Pickett were on staff with Hammond at SBCV. Culbreth was a pastor in Chesapeake, Va., a NAMB trustee and member of the search committee that brought Hammond to the mission board. Richard Harris, who has nearly 30 years of combined service at NAMB and its predecessor, the Home Mission Board (HMB), will serve as acting interim president until an interim president is chosen. Harris’ service includes 10 years as NAMB’s vice president of church planting, and 16 years leading HMB’s mass evangelism efforts.